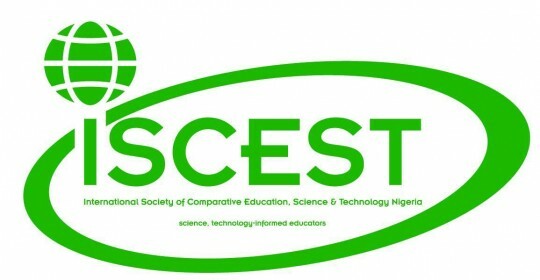 The theme for ISCEST’s 3rd ISCEST Conference was Science and Technology, Education and National Development. The conference was held on 04 – 08 December, 2016. Keynote addresses were given by Professor Victor Nobuo Kobayashi, Professor Emeritus of Educational Foundations at the University of Hawaii and President of World Comparative and International Education Society 2006, Professor Charl Wolhuter, President of Southern African Comparative and History of Education Society (SACHES) and Professor Bernard Efiuvwevwere, Professor of Microbiology and Former Deputy Vice Chancellor, University of Port Harcourt. Among other notable presenters were Professor Lale, Vice Chancellor University of Port Harcourt and Prof. Edmund Allison-Oguru, who represented Former President of Nigeria, Goodluck Ebele Jonathan. This conference followed the 1st and 2nd Conferences which were convened on 7—12 December, 2014 and 10—14 December, 2015 at the Institute of Science & Technology (IST). IST is a new interdisciplinary research-led institute dedicated to applied research and education in science and technology. The conference participants deliberated on a variety of challenges and problems that frustrate the processes that lead to education attainment and national development. ISCEST seeks to bring these issues to the attention of the relevant government and non-government bodies by setting up meetings and seminars. The agenda focuses on the nature of the said challenges and problems and how best to ameliorate them. ISCEST also intends to use its educational activities to empower today’s youths, who are tomorrow’s leaders, to make meaningful contributions that will promote national development with respect to educational and ecological sustainability. ISCEST welcomes the results of the research work carried out by the conference participants. There is unanimous agreement to take recommendations and related suggestions to the relevant government and non-governmental bodies, community organizations and concerned citizens. the paying of attention to the polymerization of gaseous olefins to yield more gasoline. ISCEST promises to continue to play an important role in helping researchers to raise awareness of the many preoccupations that adversely affect Nigerian communities, and therefore reasserts its commitment to disseminating concerns to the authorities, via similar communiqués. To this end, ISCEST seeks to have synergy and collaboration between ISCEST and policy makers, government and non-government personnel, community groups and organizations and concerned citizens. In this regard, ISCEST welcome advocacy and sponsorship.